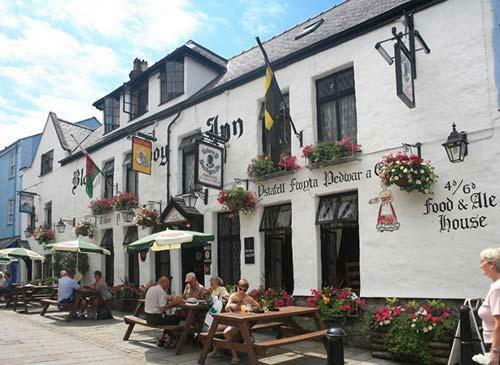 The Black Boy Inn in Caernarfon, North Wales, has been offering accommodation and food of distinction since 1522. Situated in the heart of the Royal Borough of Caernarfon, within the fortified medieval town walls, the hotel has charm aplenty with its roaring open fires, oak beams and all the Welsh character that its age and location suggests. The inglenook beamed restaurant opens daily to residents and non-residents, serving Table d'Hôte and À la Carte menus - as well as mouthwatering Sunday lunches. Each en-suite bedroom has its own unique charm. 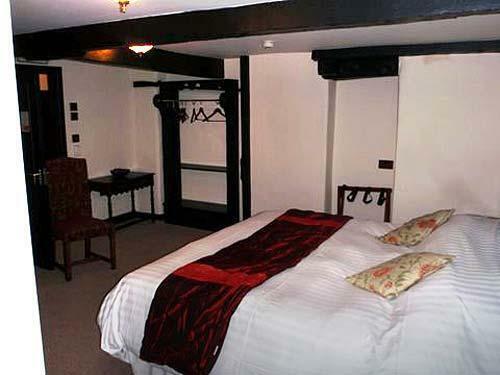 Whilst up-dating the rooms to a high standard, we have strived to retain the unique character and atmosphere which epitomizes the Black Boy Inn by using local, traditional building materials with handmade furniture and quality fittings. The rooms all have good quality bedding, complimentary high-speed wireless internet access, newspapers and wake up calls available upon request. Other amenities include satellite television, radio, tea and coffee facilities, direct-dial telephone, hair dryer, natural luxury toiletries. At the Black Boy Inn, the locals' favourite, diners are offered a wealth of choice and flavours. Depending on your mood, taste or occasion you can choose between our hearty a la carte restaurant menu and our chalkboard of seasonal specials. Our head chef and his team pride themselves on their unfussy but skilful preparation of quality ingredients, with a passion for fresh seafood and a commitment towards using the best locally sourced organic Welsh produce. 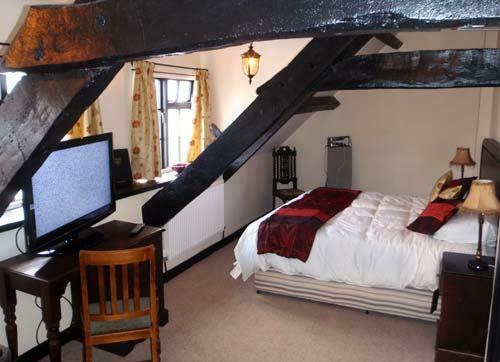 The Black Boy Inn is perfectly situated for exploring North Wales with its dramatic coastline and mountain ranges. It's also only a stone's throw away from Caernarfon castle, a world heritage site. Caernarfon is rightly famous for its castle, but there is plenty more to do in the town and its surrounding areas, including taking a ride on the Welsh Highland Railway and visiting Caernarfon's Galeri. A few miles' drive is Snowdonia National Park which plays host to the highest mountain in Wales, and Anglesey, home of Beaumaris Castle, the last and largest of the castles to be built by King Edward I in Wales. Local attractions include Caernarfon Castle, Snowdonia National Park, Welsh Highland Railway, Beaumaris Castle, Dinas Dinlle Beach, Snowdonia Riding Stables, Victoria Dock, Galeri Caernarfon, Gypsy Wood Park, Segontium Roman Fort, Caernarfon Airworld, Vintage Snowdonia bus tours.